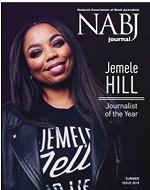 As a NABJ chapter, your organization will be affiliated with a progressive, professional organization that strives to unite black journalists and is dedicated to journalism excellence and diversity in news coverage and full equality in the industry. 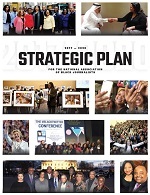 NABJ programs are conducted in part through workshops and panel discussions offered during the annual national convention, as well as by each of NABJ's regions. Forums are available to working journalists in print, broadcast and new media. As well, sessions are developed for young, mid-career and seasoned journalists who are moving into management. The organization also offers professional development and technical training for professionals and students through the NABJ Media Institute. The Institute is headquartered at the NABJ national office on the campus of the University of Maryland, but its programs are often held at venues around the country. Special efforts are made to encourage black students to pursue careers in the media. Professionals are available to offer guidance and personal critiques. Student services are available in the form of journalism internships, scholarships, mentoring and training programs. In recent years, the NABJ Job Fair has expanded, and now enjoys the participation of some of the largest and most prestigious media organizations in the country. For journalists considering new career opportunities, the job fair, as well as the networking that occurs, provides a wealth of contacts. As a NABJ chapter, your local organization will affiliate with the resounding impact of the national organization, which boasts more than 3,000 members. The chapter is assigned to a geographical region and has a regional director that represents the chapters interests on the national Board of Directors. Chapter presidents may participate on the Council of Presidents listserve and receive leadership advice and fellowship from other chapter leaders within NABJ. NABJ chapters are eligible to host regional conferences and the national convention. Members of NABJ chapters are eligible for discounted registration fees at regional and national meetings. Finally, the NABJ Professional Chapter Grant program supports local professional affiliates in producing programming that will benefit their membership and sustain NABJ's longstanding mission of local community outreach. By becoming a NABJ chapter, your local organization can join the efforts to establish an extensive network of black media professionals and organizations that together can be a unified force.